After Barbados we spent a week in Grenada. There were quite a few birds near our cottage. 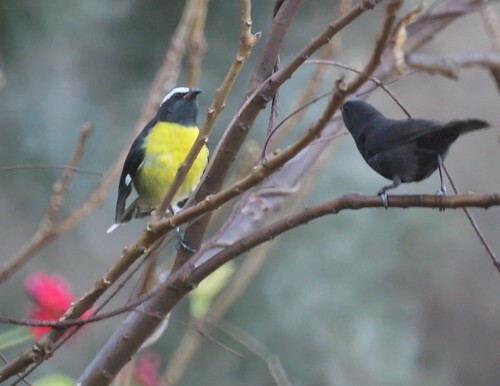 The most common is the bananaquit. 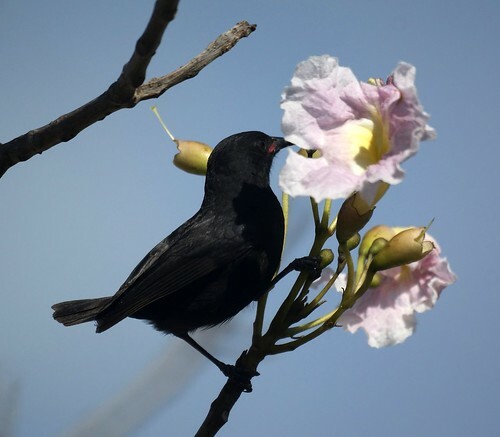 As we discovered, in southern Grenada, the all black morph is fairly common as well as the more widespread yellow and black bananaquit. This bottom photo shows a typical yellow and a black morph in what we nicknamed the "negotiation bush." 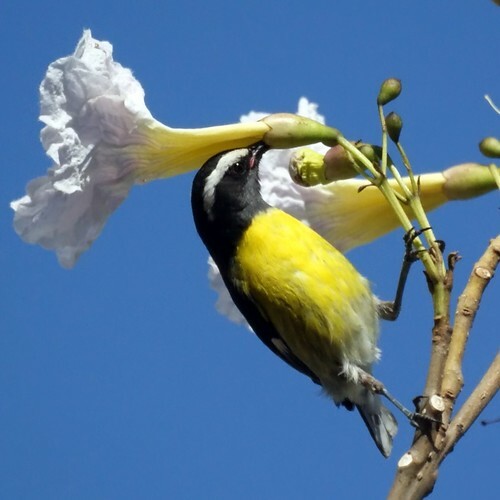 When they weren't drinking from the flowers of the White Trumpet Tree, they were often seen in this little bush by our porch doing elaborate dances and maneuvers for or at each other and squealing up a storm. We never did conclude whether it was mating or territorial behavior, hence the nickname negotiation bush. Some of the local people told us they call them "see-see" birds because their little squeal of a song sounds like they're saying see, see.